Henry II was King of England from 1154 until his death in 1189. He ruled a vast empire and laid the foundations for the Common Law in England but also struggled with rebellions led by his own children and his wife and was, in his own time, despised by the country. There is a little known story about Henry, though, which is as surprising for what it didn’t come to mean as what it did come to mean. It is reported by several sources, including Gerald of Wales (c1146-c1223) that King Henry brought about the discovery of the tomb of King Arthur, the legendary Once and Future King. The first problem with the story is that reports place the discovery between 1191 and 1193. If these were correct, it would have been after Henry’s death and therefore it would be odd to attribute it to him. Gerald of Wales asserts that “King Henry II of England disclosed to the monks some evidence from his own books of where the body was to be found”, so either Henry searched for it but it was not found until after his death, the discovery attributed to the knowledge he had provided, or the dating of the discovery is a little out. Either way, the grave was discovered at Glastonbury, a place in Arthur’s time called the Isle of Avalon. Gerald tells us that in the old English, this means Apple Tree Island, for “truly that place abounded in apples”. The monks discovered the grave between two stone pyramids, fully 16 feet into the ground as many of Henry’s sources had suggested it would be. Inside that grave was a large stone cross, which Gerald tells us “I have seen”, upon which was carved; “Here lies buried the famous King Arthur with Guinevere, his second wife, in the isle of Avalon”. The male skeleton was said to be of enormous proportions and a lock of golden hair identified the other body as a female. There was also a sword within the grave. The sword of King Arthur. The legendary Excalibur. 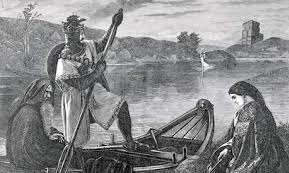 Legend said that it had been returned to the Lady in the Lake, yet here it was, buried with Arthur and his wife. Henry II suffered many rebellions and Wales was amongst those areas that he struggled to control. Welsh princes supported English uprisings and resisted Henry’s rule, clinging to the notion of the Once and Future King, who would return to avenge them against the English oppressors. Henry’s ‘discovery’ of Arthur’s grave, then, served to put beyond doubt the myth of Wales’ immortal hero. He had been a man, and he was dead. There was proof. Arthur was not going to return to save Wales. The message from Henry was clear enough. Why did the monks of Glastonbury agree to the almost doubtless sham? Well, a couple of years before the discovery the Abbey church had been destroyed by fire and funds were required to rebuild it. What better way to raise funds than pilgrimages? What better find to draw pilgrims that the most revered king in English legend? It is worth noting that around this time Glastonbury also saw the discovery of the remains of, amongst others, St Patrick, St Indract, Saint Brigit, St Gildas and St Dunstan. So the monastery’s motive is also easy to fathom. I can’t help wondering, though, whether King Henry missed an immense PR opportunity. He used the discovery to quash Welsh rebellion but could he have used it to make his own reputation? 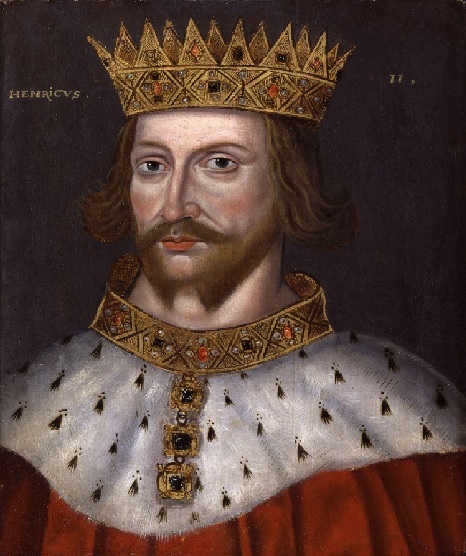 Henry was the son of Empress Matilda and grandson of King Henry I. When Henry died he had named Matilda his heir but her cousin Stephen had swooped to have himself crowned king and firmly dug in his heels. After years of simmering civil war known as The Anarchy because of the vacuum of power and justice that flourished while the greatest men and the greatest woman in the land squabbled over the crown, Henry became king at the age of 21. Stephen had been forced to submit that following his own death, Matilda’s son would become king and all hoped that the festering wounds afflicting the country might begin to heal. Henry reigned for almost 35 years and his legacy now is much more respected than it was at the time. Henry’s wife, Eleanor of Aquitaine, egged on her favourite son, Richard, who wanted power sooner rather than later. Henry favoured his youngest son John. 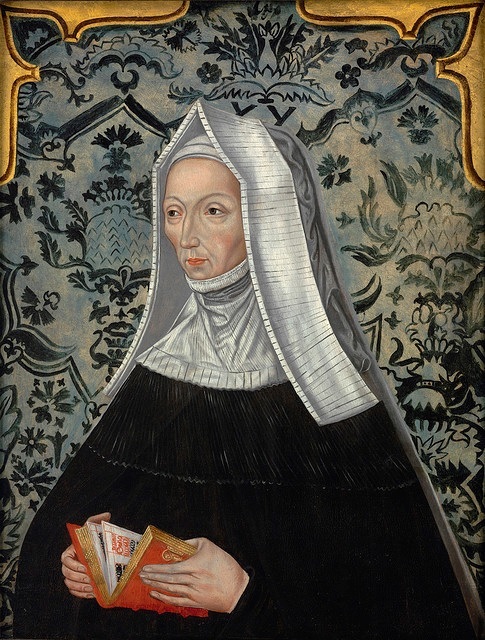 Eleanor spent long periods imprisoned by Henry and Richard rebelled more than once. Henry, then, had plenty of problems within his own family as well as in the country. He was the first Plantagenet king, son of Matilda’s second husband Geoffrey of Anjou, who was named for the sprig of plant he always wore, his planta genet. England had been at war for years and Henry was far from English as he tried to unite his new kingdom. I would imagine that the discovery of King Arthur and Excalibur could have served a far greater purpose for Henry. He was attempting to bring together an empire under one banner, as Arthur had done. He was a great law maker, as Arthur had been. I wonder whether Henry might have been better served by embracing the discovery as a defining marker of his kingship, by comparing himself to Arthur and seeking to inspire those opposed to his rule rather than simply crushing Welsh hope. If Henry had been blessed by the discovery of Arthur’s grave and the mystical sword Excalibur had come to him, would this not mark him as an heir to Arthur’s legacy and the power that Excalibur represented? Could it have provided an inspiring new start for the new dynasty? Yet there is no evidence that Henry sought to use the discovery in that way. Possibly this is because he did not survive to see it or perhaps he simply did not choose to view it that way. To me, this seems like a wasted opportunity. What of the remains of Arthur and Guinevere? Gerald of Wales asserts that the lock of blond hair, “when a certain monk snatched it greedily with his hand and raised it up, at once all of it crumbled into dust”. The monks at Glastonbury kept the bones in an ornate wooden chest and pilgrims flocked to see it. Later, during the reign of Edward I, a black stone sarcophagus was placed next to the High Altar and the bones re-interred. The monastery was dissolved by Henry VIII, the last Abbot hung drawn and quartered for treason. There is no record of the fate of the bones. Perhaps the brothers managed to move them to a secret location before Cromwell’s men descended. Perhaps King Arthur now rests in some other location, safe until he is needed again by his nation. The stone cross which was found in the grave and identified its occupants was preserved and better documented. That does not mean that it was not a forgery, but it is fairly well recorded by many chronicles over the following centuries. It was last recorded in the possession of William Hughes, Chancellor of Wells in the early 18th century. Then, it disappeared. And the mighty Excalibur? The story goes that Henry’s son, Richard I gave the sword as a gift to Tancred of Sicily in 1191 (which again throws doubt upon the dates of the find). It would be an odd fate for the most powerful sword in English history and all that it represented to be given away to a foreign ruler. Of course, if the grave had been found in 1191 and King Richard made aware, he seems to have been less than interested. Perhaps that reflects his lack of attachment to the country that called him Lionheart but where he spent almost no time. So it is that King Henry II found a Welsh legend to destroy his myth but passed up the opportunity to attach his own reputation to the most enduring story in English history. The Plantagenets ruled for over 300 years and remain the longest ruling family in England’s history. Perhaps they did not need Arthur to bolster them, or perhaps they did not want to attach themselves to him, preferring to stand proud as Plantagenets. It is interesting too that when Henry Tudor ended Plantagenet kingship in 1485, he named his first son, born the following year, Arthur. The promise was clear. The Plantagenets had crushed Arthur’s memory. The Tudors were returning it. There was to be a new King Arthur to save England. Hornby Castle – The Price of Power? King Richard III lost his crown and his life at the Battle of Bosworth Field on 22nd August 1485. He was the last English king to die on the battlefield and the last Plantagenet king. Treachery has long been cried as Richard was not supported by men he legitimately expected to fight for him. Foremost amongst this shadowy clique was Thomas, Lord Stanley, a name guaranteed to bring boos and hisses from any Ricardian. The reason for Lord Stanley’s betrayal of his king is not hard to fathom; he was step-father to Henry Tudor and so had a right to expect a great deal of power in compensation for his actions, or rather, lack of action. Yet there is more to this story. Stretching back over two decades lies a dispute in which Richard, as Duke of Gloucester and then as king, took sides. I suspect that perhaps even more than becoming step-father to a king, this matter may have played on Lord Stanley’s mind as he watched from the sidelines as the two armies prepared to fight to the death for the crown of England. No doubt he also enjoyed being courted by both parties. The dispute in question was between the Stanley family and the Harrington family. Both were gentry families in the north west, with the Stanley’s increasing their wealth and influence under Thomas’s grandfather, Sir John, and father, Sir Thomas, the first Baron Stanley. By the mid 15th century they owned great swathes of north west England and held many offices of power in the region. During the Wars of the Roses, Lord Stanley developed a reputation for staying out of battles until the result was clear and then joining, usually by sending his younger brother Sir William’s forces into the fray, on the winning side, thus reaping the rewards of seeming to decide the battle. He fought variously for Lancaster and York and just as often failed to arrive at battles. Thus the Stanley’s position had been won carefully, by ensuring that whether York or Lancaster might prevail, the Stanleys always stood to gain. For these reasons Lord Stanley is often seen as a fickle, conniving, self-serving man. If one were to seek to give him the benefit of the doubt, we may allow that he headed a family on the cusp of real greatness after several generations of hard work. One wrong move at this time could cost the entire family everything that they had. Perhaps he did not feel willing or able to take that risk. The Harrington family are perhaps the very antithesis of the Stanleys. James Harrington was a friend and supporter of Richard as Lord of the North. 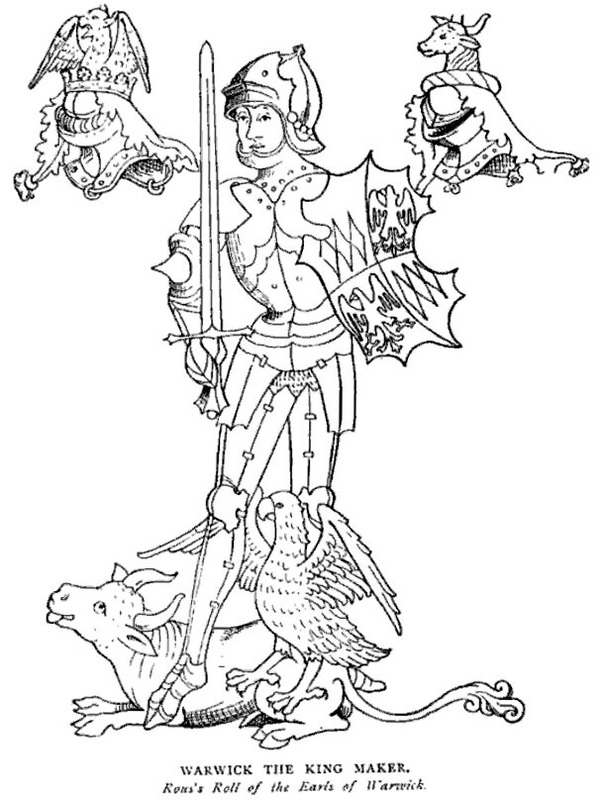 His grandfather had carried Henry V’s banner at the battle of Agincourt where Richard’s own grandfather had been slain. The two men were soaked in the chivalric memories of English glory on French soil. Throughout the Wars of the Roses, the Harringtons fought for York and never wavered. Not once. Sir James is one of the candidates for having carried Richard’s banner at Bosworth, a fitting repeat of Agincourt as the king led a charge of his cavalry across the shuddering field. Certainly, Sir James died at the king’s side that day. The beginnings of the Stanley feud with the Harringtons was the Battle of Wakefield on 30th December 1460. Not because they fought on opposing sides; Stanley managed to miss this battle. Richard’s father, the Duke of York and brother Edmund, Earl of Rutland were killed at the battle when the Yorkist army was destroyed. Also killed was James’s father Thomas and James’s eldest brother John. Initial reports stated that Thomas died in the fighting and John of his wounds shortly after the battle. This meant that Thomas Harrington’s possessions passed on his death to John and on John’s death to his heirs. Anne and Elizabeth Harrington were about four and five years old and the law stated that the inheritance would pass to whoever they married. James Harrington and his brother Robert argued that John had in fact died before Thomas, making James the rightful heir. Lord Stanley immediately set about making the two girls his wards and marrying them to his son and nephew. 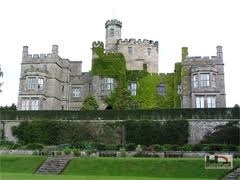 The jewel in the Harrington family crown was Hornby Castle. A stunning property, it sat above the valley of the River Lune, firmly in Stanley country. Obtaining it would allow them to join territories together and thoroughly dominate the area. Edward IV, measuring Stanley’s might, feared upsetting him and granted him control of the Harrington girls and therefore possession of Hornby. James Harrington, who had been amongst those who captured Henry VI in 1465 and delivered him to Edward, must have felt somewhat betrayed after his loyal service. Anyway, he and his brother refused to surrender their nieces or the castle and dug their heels in behind the mighty walls of Hornby. When the Earl of Warwick rebelled and Henry VI was temporarily reinstated as king, Stanley seized the opportunity to try and drive the Harringtons out for good. He brought up a giant cannon named ‘Mile Ende’ from Bristol with the intention of blasting the troublesome Harringtons out of Hornby. 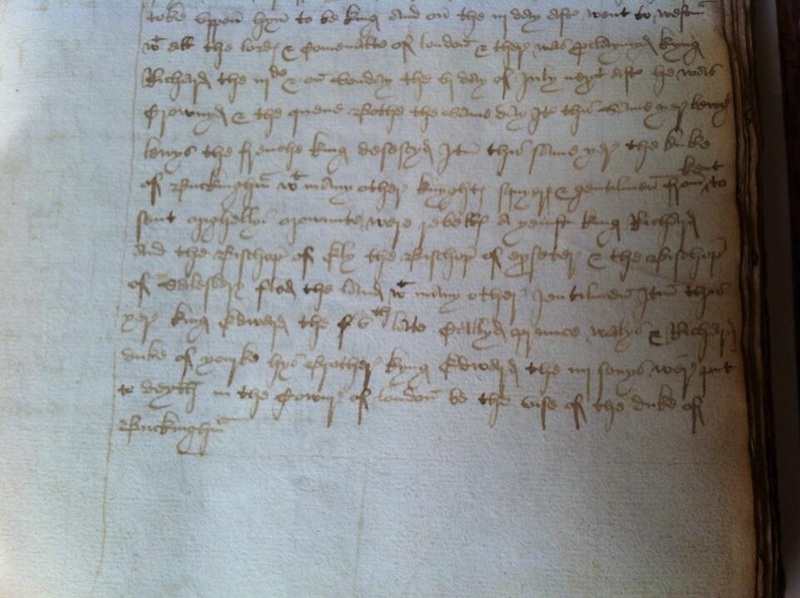 Not a shot was fired however, and it is intriguing to find a warrant issued by Richard on 26th March 1470, signed ‘at Hornby’. The seventeen year old Duke had chosen his side, and it was the loyal Harringtons that he backed, perhaps perceiving an injustice they suffered at his brother’s hands that their service did not merit, in contrast to Stanley. In Richard, the north found ‘good lordship’ to check the advance of Stanley power. Lord Stanley found himself blocked by the king’s own brother. In 1483, when Richard became king, evidence suggests that he intended to re-open the issue of ownership of Hornby, no doubt to the joy of the loyal Sir James, but to the dismay and disgust of Lord Stanley, whose son and daughter in law now lived at the castle. Add to this the appointments of Richard Ratcliffe, the new king’s friend and uncle of Robert Harrington’s wife, as king’s deputy in the West Marches and Sherriff of Westmorland, Robert’s brother-in-law John Pilkington as Steward of Rochdale and Richard III’s chamberlain and another Harrington family member, John Huddlestone, as Warden of the West Marches, Sheriff of Cumberland and Steward of Penrith and we see Stanley influence being strangled in the region. No doubt this restriction of Lord Stanley’s expansionism was intentional on Richard’s part, but as Thomas Stanley surveyed Bosworth Field, this must have been playing on his mind. Should he maintain upon the throne the man who was seeking to destroy him, or replace him with a step-son full of gratitude with power to dispense accordingly? Richard III had appointed Stanley Steward of his Household and made him a Knight of the Garter, perhaps not entirely able to escape his brother’s recognition of Stanley as a necessary evil given the huge force of armed men that he was able to call upon. But was this enough to compensate Stanley for the dismantling of his north western empire, or did he see an opportunity for more? Henry VII made him Earl of Derby, a title his family still hold today. Measured dispassionately, it was a good decision that has made the family in a way Thomas’s father and grandfather could only have dreamed of. The Harringtons, for all of their unswerving loyalty, were wiped out, destroyed, along with the House of York they had fought alongside for so long. I cannot help but wonder whether in this respect, Lord Stanley’s betrayal of his king at Bosworth was foreseeable and even understandable. Hornby Castle, he must have mused, was finally his. The mighty Richard had stood against him, but Stanley had won in the end. Was Richard the architect of his own demise? He failed to play the game of thrones well and his commitment to loyalty and chivalric values left him open to opportunism and betrayal, even making them appealing to some. Then again, I am a card carrying Ricardian, so boo, hiss!